HE HAS toured Britain with Ricky Gervais and John Oliver, was a founding member of the acclaimed Robin Ince’s Book Club, and has performed regularly with Russell Brand and Stewart Lee. 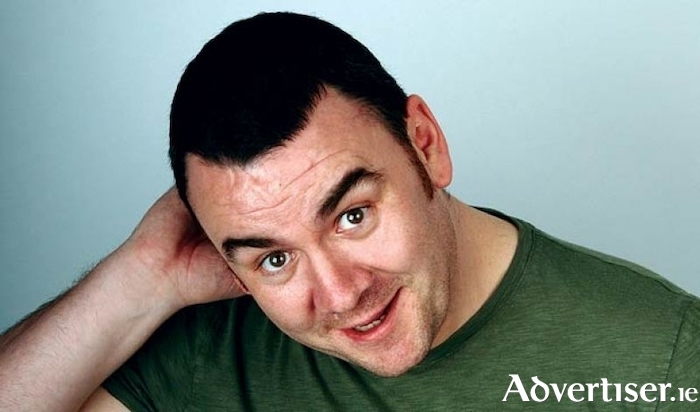 He is Johnny Candon, one of Ireland’s most sought after and experienced stand-up comedians. He will headline the next Comedy KARLnival with Karl Spain, in the Róisín Dubh on Tuesday April 10 at 9pm. Described by The Scotsman as a “likeable raconteur”, Johnny has appeared on Russell Howard's Good News, The Sketch Show, and Mock The Week. He has also toured internationally. Also on the bill is Tom 'The Bear' O’Mahony, who has become one of the busiest Irish acts on the circuit. He has supported Tom Green, Tom Stade, Nina Conti, Michael Winslow, Abandoman, Neil Delamare, and Tommy Tiernan, and enjoyed his own sell-out shows in the Edinburgh, Cork, Leicester, Dublin, and Barcelona comedy festivals. He was Tarquin in Damo & Ivor, and has appeared on Republic Of Telly, Irish Pictorial Weekly, Bridget & Eamon, and Uploaded-Uncut. He also has a popular weekly podcast, Buckshot. Support is from Kari Johnson. Tickets are €5 from OMG, Shop Street; Roisin Dubh; and www.roisindubh.net, or €7 on the door. Ticket gives free entry to the Silent Disco after the comedy. Mario Rosenstock - In Your Face!